Château Tour St. Bonnet is a renowned cru bourgeois estate situated in the commune of St-Christoly at the far north of the Médoc. Its 40-hectare vineyard is superbly situated on the edge of the commune on a gravel ridge adjacent to the Gironde. 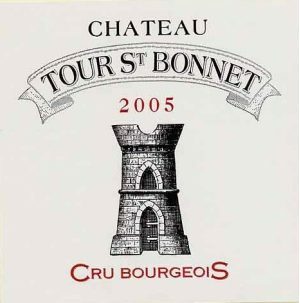 Tour St. Bonnet’s wine is made from a blend of 45% Cabernet Sauvignon, 45% Merlot, 5% Malbec and 5% Petit Verdot. The wines are fermented in traditional cement tanks. Winemaker Jacques Merlet bucks the trend of ageing wine in small oak barriques, and opts instead to age the wine for 18 months in larger oak foudres, which impart more subtle oak character to the wine.